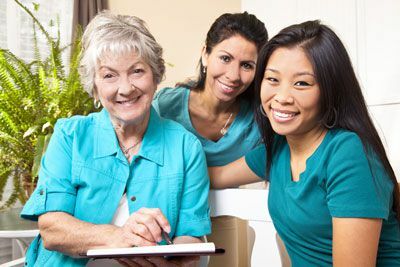 On our resource pages we’ve attempted to provide useful, pertinent, and concise information to help you make informed decisions about senior home health care. Researching senior home care services is time consuming and can seem overwhelming. We hope our efforts here assist you in finding the best solution for your family. Also, we are happy to refer you to other professionals who are experts in their field. Finally, please check out our Blog! Whether the topic is elder nutrition, hiring a geriatric care manager, or glaucoma screenings; our goal is to consistently point out new, noteworthy, and helpful information. Providing care for a loved one with dementia? Attend our monthly dementia caregiver support group! Click here for details. South Shore Senior News, January 30, 2018: Seeing the folks at the holidays? Good time to assess their wellness. To receive our newsletter each month, fill out the newsletter sign-up form at the bottom of this page. Socialize for Your Good Health!